Great for swimming, bathing, etc. Place center of Ear Band across forehead, then cover ears and secure ends at back of neck, at or below the hairline. Rinse with fresh water and allow to air dry after each use. Not recommended for diving. To keep water out of the ears and help prevent swimmer’s ear, wear one of Mack’s® waterproof-style earplugs under Mack’s® Ear Band. If washing is needed, hand wash with mild detergent and air dry. Is Mack’s® Ear Band waterproof? While ear bands help resist water from light splashing, they are not designed to be waterproof. They are designed to help keep water out while holding earplugs more securely in place, forming a watertight system. For young children that aren’t yet comfortable wearing hearing protection, the ear bands are especially helpful with keeping them from picking at their ears. They give adults an added sense of protection while wearing ear plugs in the water. 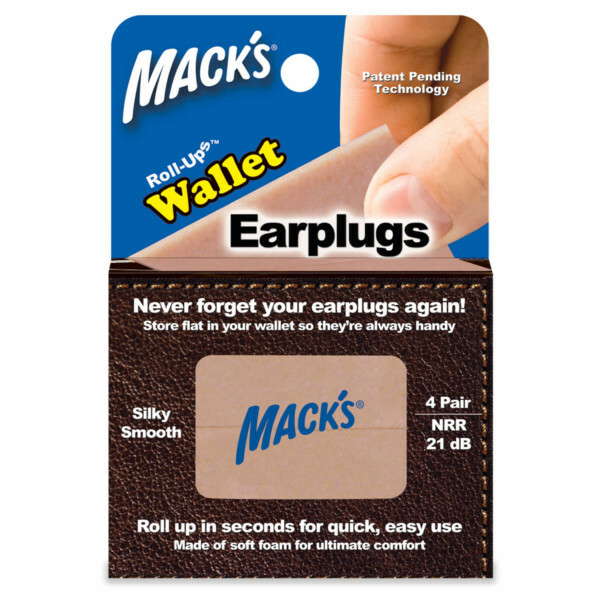 Any of Mack’s® Pillow Soft® Earplugs are ideally suited for use underneath the Mack’s® Ear Band. 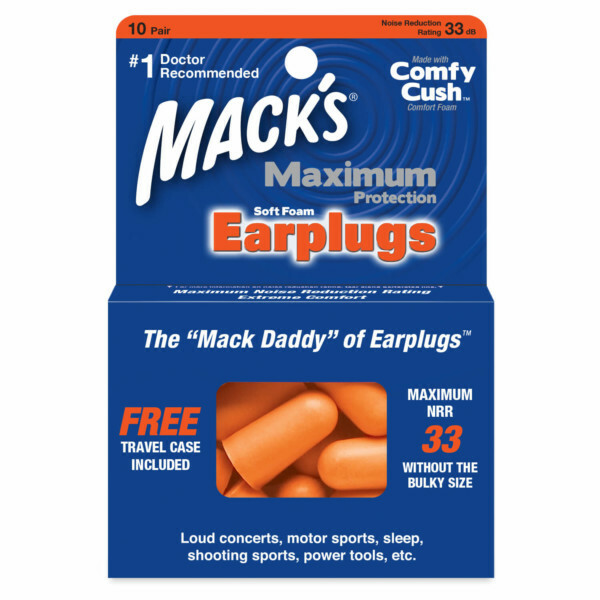 Can Mack’s® Ear Bands be washed? 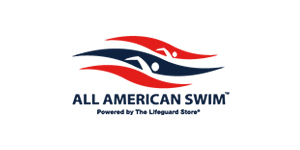 Under normal use in a chlorinated pool, tub or shower, washing should not be necessary. Always allow ear band to air dry after each use to prevent mold or mildew growth. If washing is needed, gently hand wash with mild detergent and air dry. Can Mack’s® Ear Bands be used post-surgery to help hold medical packing in place and help aid in recovery? Many doctors use the ear bands for this purpose. Please consult your doctor before using the ear bands for this purpose. How do I know Mack’s® Ear Band will fit my head? Mack’s® Ear Bands feature a high quality stretchable neoprene and a 3-inch adjustable Velcro-type connection, so they can be adjusted to fit a wide range of head sizes. Our 2-color, reversible, adjustable neoprene headband is designed to fit most kids to medium-sized adult heads. Can I dive into the water while wearing Mack’s® Ear Band? We do not recommend diving into the water with the ear band as the ear band may come off. Jumping into the water feet first, general splashing/playing, and recreational swimming should not pose a problem. How long will a Mack’s® Ear Band last? The life of a Mack’s® Ear Band will depend greatly on how often it is used and how it is cared for, but they will generally last somewhere in the range of 2 to 5 years. Can Mack’s® Ear Band be used to help keep ears warm? Yes. Mack’s® Ear Bands will help keep ears warm during cold water and winter activities, yet they are not so thick that they will feel hot during warm weather water activities. Is it hard to get children to wear Mack’s® Ear Bands? 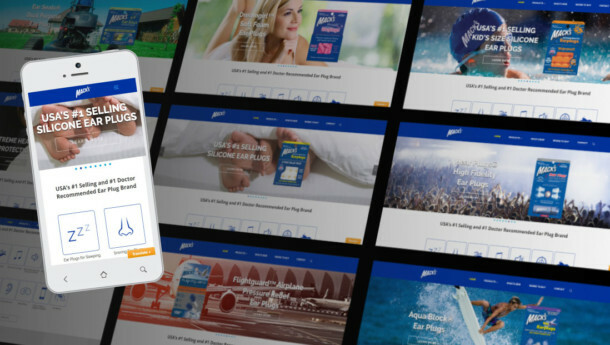 Given that Mack’s® Ear Bands are much more comfortable and better looking than bathing caps, and the alternative is to not swim at all, most kids are happy to wear Mack’s® Ear Band. They may take a few minutes to get used to wearing the ear band, but they usually forget they have it on after several minutes. 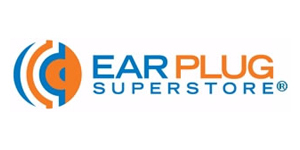 Kids that have experienced the pain and discomfort of nasty recurring ear infections, will often seek out their Mack’s® Earplugs and Ear Bands before entering the water.